The Polaris Lance is one of the feature weapons in the Destiny 2 Warmind expansion, and one of the hardest to unlock as well. In this Destiny 2 Polaris Lance guide, we'll be walking you through how to get the Polaris Lance, as well as speculation that's been rife around the community for a while now. If you instead anything else for the new Warmind expansion for Destiny 2, including how to access all the brand new content including new Strikes and the Spire of Stars Raid Lair straight away, as well as the new Power Level cap, make sure to head over to our complete Destiny 2 Warmind guides hub. The Polaris Lance is arguably one of the more powerful weapons you can obtain in the new Warmind expansion for Destiny 2, able to stand toe to toe with the new Sleeper Simulant weapon in terms of pure stopping power. For the uninitiated, the Polaris Lance is an Exotic energy weapon for your character, that fires as fast as you can pull the trigger. Ana Bray wielding the Polaris Lance. 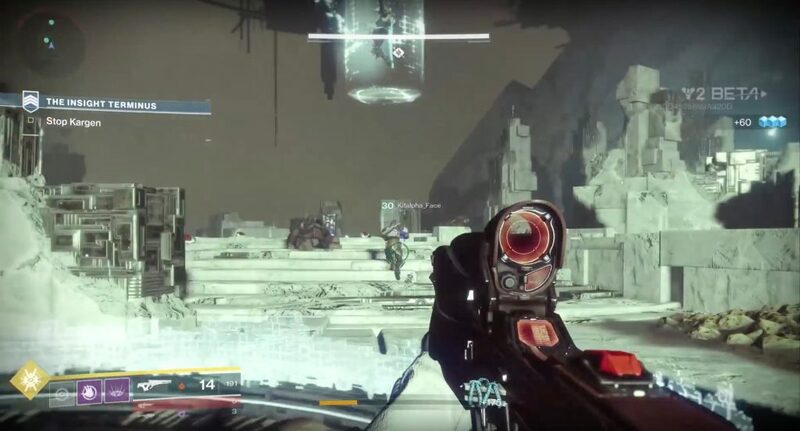 The Exotic Polaris Lance scout rifle has an ability where if you’re able to land four headshots with the weapon in a short amount of time, the fifth shot will become explosive, dealing out huge damage to whichever enemies are caught in its path. On top of this, causing any damage whatsoever with the Polaris Lance increases the weapon’s stability, meaning the more damage you deal, the easier the Exotic scout rifle becomes to use. Taking all these bonus stats and abilities into account, it’s easy to see why so many Destiny 2 players are keen to get their hands on the Polaris Lance. When the Warmind expansion first launched for Destiny 2, no one was entirely certain about how to obtain the Polaris Lance, but now it looks as though it's the end result of the Nascent Dawn quest line. You can learn how to complete the first step in this quest line by heading over to our Unsolvable Problem guide, where we'll walk you through how to complete the Nascent Dawn 1/5 item quest. Currently, there appears to be a new step to the Nascent Dawn quest item every week in Destiny 2, so you can go from completing 1/5, to 2/5 and so forth. It's expected that the end reward for completing the Nascent Dawn 5/5 quest will be the Polaris Lance, since you can actually obtain the Legendary version of the weapon that Ana Bray uses through the Nascent Dawn 2/5 step. There's no way to know right now for sure whether the Polaris Lance is in fact the end reward for the Nascent Dawn quest line, but it stands to reason that you should obtain the Exotic rifle upon completing all the steps. Keep an eye on this guide over the coming weeks, when we can eventually confirm or deny whether this is the way that you earn the Polaris Lance. We’ll make sure to keep this Polaris Lance guide for Destiny 2 updated with any new information surrounding the Exotic scout rifle, but head over to our Warmind Exotics guide for a complete list of some very elusive and rare items, or our Warsat Down Public event guide for how to trigger the Heroic version of the activity.